You can never deny that classic music will always be celebrated & continue to live on for generations to come. It has been 23 years since TLC released the song "Waterfalls" that a powerful message on the HIV/AIDS epidemic & helped to start the conversation about the issue. 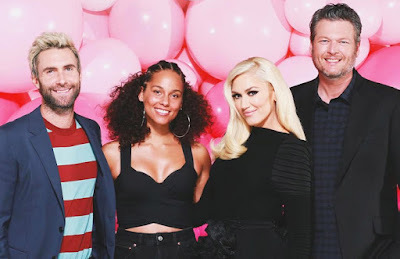 The coaches of the hit show The Voice, Adam Levine, Alicia Keys, Gwen Stefani & Blake Shelton teamed up to deliver a acoustic performance of the song on the show. Check it out after the cut.